:: View topic - How to lock only specific cells in Excel? How to lock only specific cells in Excel? Posted: Wed Jan 18, 2017 11:51 am Post subject: How to lock only specific cells in Excel? 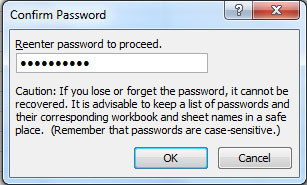 - then protect the worksheet (with password). In the following example, I want to protect only the cells A5, B5 and C5. 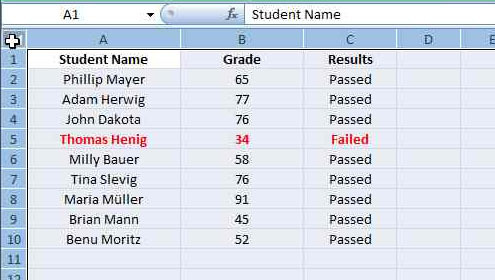 These are the cells that kept info for Thomas Henig who got 34 (pass mark 45) and failed the exam!! Under the Protection tab > uncheck the Locked check box > click OK. 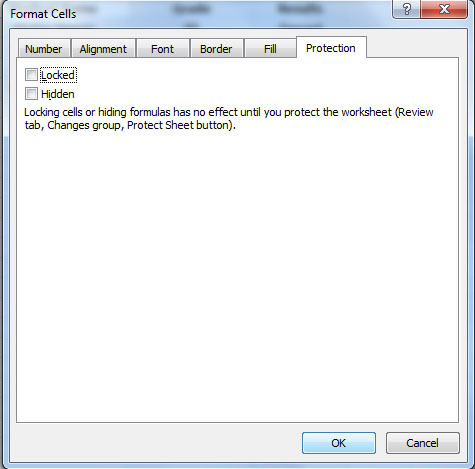 Select the cells you want to protect. You can select as many cells as you like. Start by clicking the first cell, then press down the CTRL button and click the next cells . 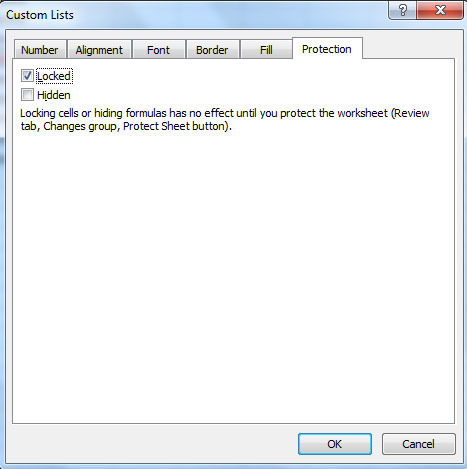 Under the Protection tab > check the Locked check box > click OK. Additionally if you would check Hidden, then all the formulas will be hidden and will not appear in the formula bar. So the second step is done. Now you have to protect your worksheet. 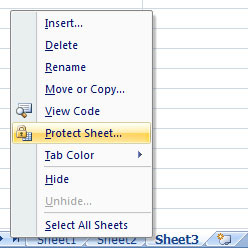 To protect your worksheet > go to Review tab > click on Protect Sheet. The Protect Sheet window opens. Here you can select the options that you may allow your users to do like Format cells, Insert rows etc. We leave everything as it is now and enter our password > click OK.
You will be prompt to Confirm Password again > re-enter your password > click OK. The third and final step is done - your worksheet is now protected. 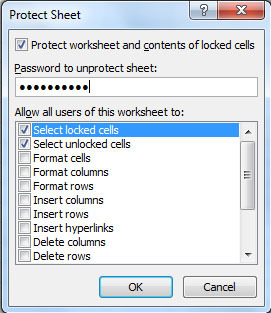 unlock all cells in your worksheet > then select and lock the specific cells > then password protect your worksheet. 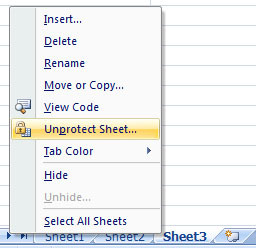 How to unprotect your worksheet? You can do it from the Review tab > Unprotect Sheet > You will be asked for your password.